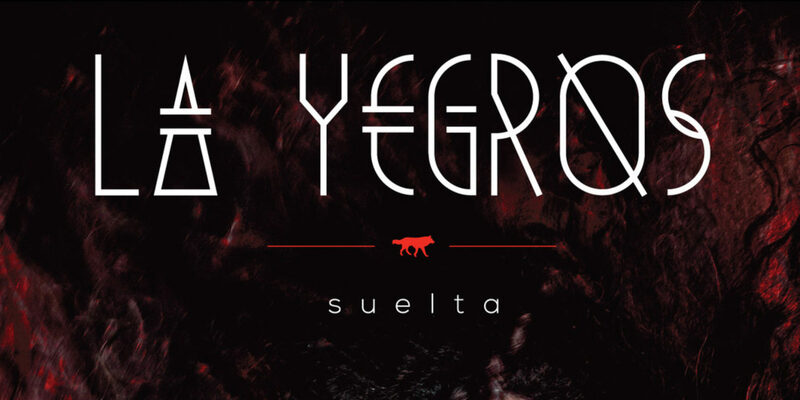 Argentine singer/songwriter La Yegros has been called the queen of new cumbia, and on her third album, Suelta, she lives up to the claim with a set of 10 songs that draw as much from folklore, electronica and Caribbean dance pop as from cumbia. La Yegros comes by her eclecticism and openness honestly, having grown up in Misiones in the northeast corner of Argentina, near borders with Brazil and Paraguay. It’s a cultural crossroads, known for lush green forests and massive yerba mate crops, also for accordion-driven chamame music and flute-driven carnavalito, a party-hearty variant on Andean folk music. La Yegros has joined the global cumbia bandwagon—and who can blame her? The music is irresistibly danceable—but she brings all that folklore and so much more to her well-adorned table that she comes close to redefining the genre. Suelta means “let loose,” and there is a giddy abandon that pervades these 10 tracks. The rhythms are sly and supple, interweaving hints of dancehall (“Cuando”) and reggaetón funk (“Alegria”), chamame’s 6/8 (“Ruge”), and pounding reggae (“Siempre Estas”). La Yegros sings with sassy sauvity, and at times girlish innocence. She also she raps convincingly, always deeply in synch with her beguiling grooves. Crisp arrangements shift easily between complementary grooves, sometimes overlaying them as on “Linda La Cumbia,” which juxtaposes cumbia with melodious folklore reminiscent of Colombian roots diva Toto La Momposina. The flutes of carnavalito appear often and there are plenty of plinking, jangly acoustic strings and some accordions as well, mixed in with propulsive grooves and electronic hums and growls. This diversity adds complexity, but the music always feels clean and uncluttered—no easy task. Latin Alternative luminaries, producer/artist King Coya (Gaby Kerpel) and Eduardo Cabra from Puerto Rican super group Calle 13 contribute, as does U.K. rapper Soom T, who weighs in on “Temenez Voz” (We Have A Voice), a plea for the women of the world to unite and demand respect. Here again reggaetón and cumbia merge wonderfully. And the video is sweet!